As I mentioned a few articles ago, the VDF has the concept of client properties. On top of that, the VDF gives you the ability to add your own. 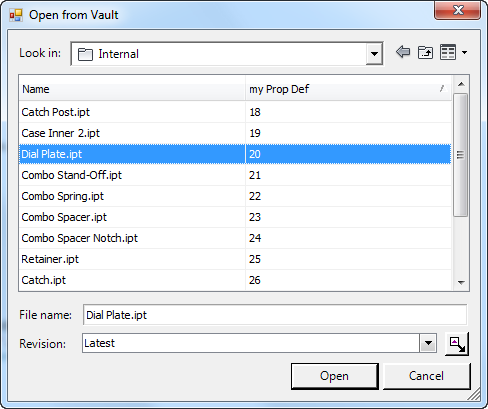 The main advantage here is that it gives you a column of your very own in the VDF grid. Beyond that, most of the work is up to you. You need to set the value. If you want to persist the data, that’s also up to you. Perhaps it’s best if I show a quick example. Let’s create a property called “my prop def”, and set values based on a counter that I increment. Step 1: Define a class the implements IPropertyExtensionProvider. IPropertyExtensionProvider can do a lot of things. Here I’m using it to supply a client property definition to the VDF. I’m also using it to provide the values to that property when the VDF asks for them. // not needed in this example. // set the value for our custom property. Step 2: Register your provider. You can now use the column in any of your UI that uses the VDF. Even if a VDF grid doesn’t explicitly set the column, the property shows up in the list when the user goes to customize the columns.